On Saturday, there was some dryness in the throat. Was I coming down with a cold or just a little dehydrated? I drank water. By Sunday the nasal congestion was setting in. It was a cold. I drank more water. 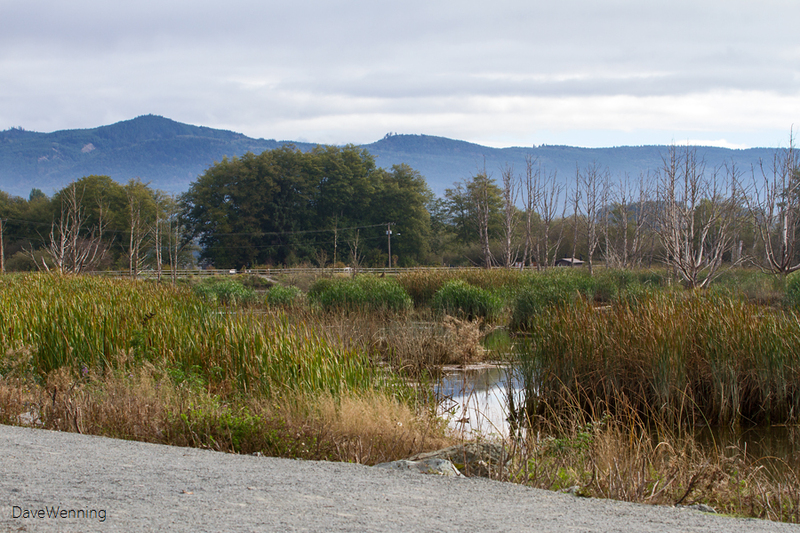 All weekend, I planned to hike out into the Skagit River wetlands at Wiley Slough on Monday. I wanted to see if the Cedar Waxwings had come to devour the wild Pacific Crabapples that grow along the dike. This was quite a spectacle in 2011, Would a cold compel me to cancel my plans? This morning, I woke up with a fulminating, stage four cold. I was terminal. It was time to write my will. Then I recalled an article I read about how getting outdoors seems to treat depression. Maybe it would also be good for a cold. I decided to go anyway. First a shower which always makes me feel better, then off to Fir Island. I armed myself with a packet of tissues and my saline nasal spray. The sky was overcast, but it wasn't chilly. Low 50's maybe. As soon as I started walking along the dike, my symptoms abated. My head cleared and my nasal passages opened up. I only needed a couple tissues during my two hours in those wetlands. I didn't use the nasal spray at all. I felt great. 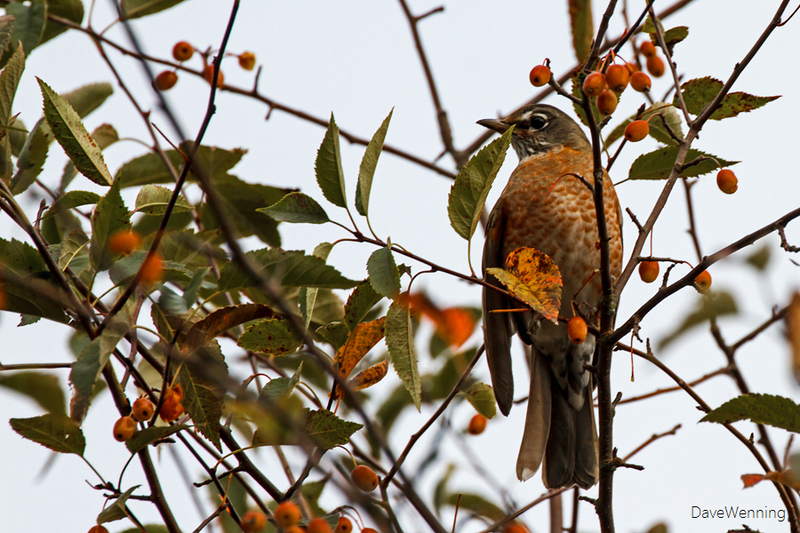 There were no Cedar Waxwings in the Crabapple trees, Instead, several American Robins were enjoying the bounty. I'll check back in a week or two for the Waxwings. Today I also discovered that the Lesser Snow Geese have returned to Fir Island for the winter. This is the Wrangle Island Flock that breeds in the Siberian Arctic. Last year the geese were chased off by all the pipeline construction along Fir Island Road. I am hoping to get some good pictures this year. I had another treat during my hike. 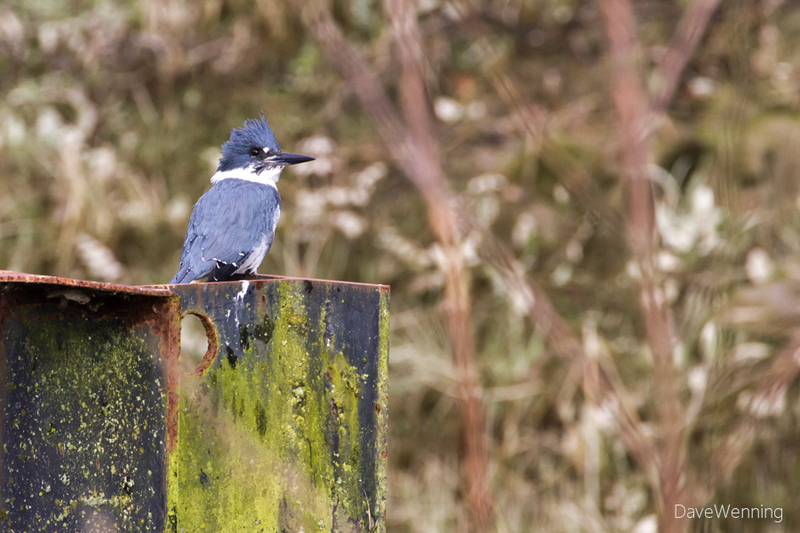 After three years of trying, I finally got a photo of this Belted Kingfisher. You can read his story over at Wild Fidalgo. Now that I'm home and indoors again, I am still feeling better after that hike. My nasal congestion is back, but my appetite has returned. After that hike in the wetlands, it looks like I'll live after all.